Sun, sand and turquoise water. 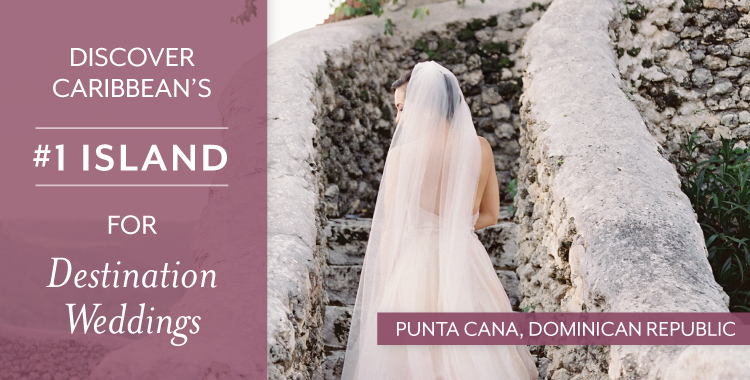 Who wouldn’t want a destination wedding in Punta Cana? Sure, stunning beaches are the top attraction within this vibrant resort town. However, there’s also so much more to Punta Cana than the azure water and sunny skies. Read more about it below! 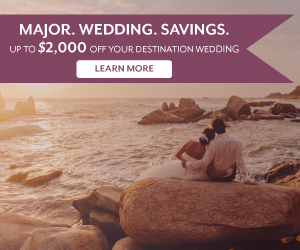 Why Have a Destination Wedding in Punta Cana? Peeking out from the eastern most corner of the Dominican Republic, Punta Cana is known as the land of rest and relaxation. Vacationers favor the area for its consistent weather patterns; you can nearly always expect temperatures between 75 and 90 degrees Fahrenheit – just warm enough to frolic around in a swimsuit all day, but not uncomfortably hot. Better yet, inclement weather is minimal, so there’s no need to plan a destination wedding around rainy or dry seasons. With perfect weather and stunning scenery, nothing compares to the beach experiences in Punta Cana. The resort town offers something for everyone, with some beaches facing the Caribbean Sea and others overlooking the Atlantic Ocean. The majority are postcard worth, boasting the white sands and clear waters you’d expect to see in the Caribbean. Did we mention these beaches make the perfect backdrop for an intimate wedding ceremony? Some Punta Cana wedding couples and their guests spend all their time lounging on the beach, but the tourist destination truly appeals to active types, who can’t get enough of the region’s adventure sports. Vacationers get their hearts pumping while windsurfing, kitesurfing, or riding speedboats. Others prefer swimming with dolphins or snorkeling alongside sting rays. 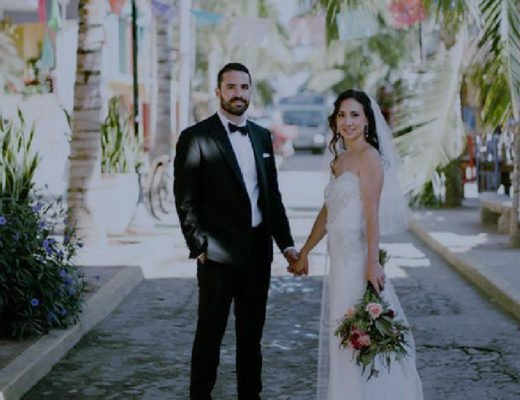 Although newlyweds live in a world all their own, those who travel to Punta Cana enjoy interactiving with locals and other resort guests. The area is notorious for its accommodating vibe; people are unfailingly friendly. Always hospitable, locals are eager to share their unique culture, so don’t be shy! Ultimately, Punta Cana weddings are all about romance and that certainly abounds at local resorts. The region is home to several sophisticated, adults-only resorts, such as Secrets Royal Beach Punta Cana and CHIC Punta Cana by Royalton. Punta Cana’s all inclusive wedding resorts amp up the romance with fine dining, couples messages and exclusive, affordable wedding packages. 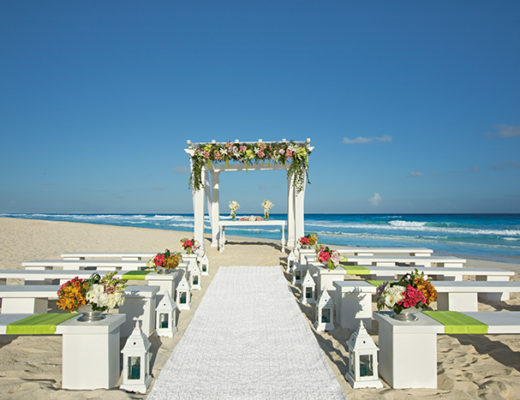 If your dream wedding or vow renewal ceremony involves a picturesque beach backdrop and perfect weather, you’re the ideal candidate or a destination wedding in Punta Cana. 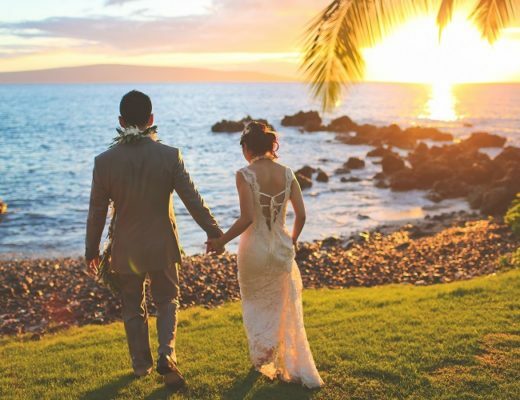 You’ll never forget the charm and romance of your beachside ceremony or the luxury of your tropical honeymoon.